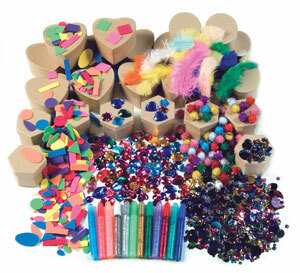 The whole classroom can "think outside the box" with this fun papier mâché box decorating kit. This giant kit includes 24 papier mâché boxes in heart, hexagon, and oval shapes. This kit has everything they need to make the perfect treat for themselves or a gift for someone else.